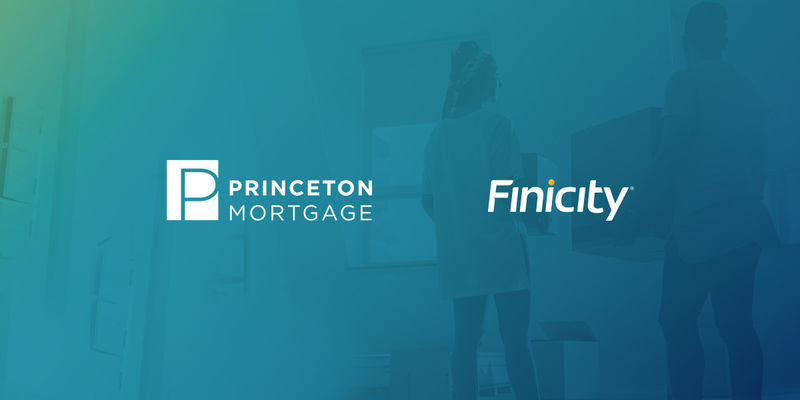 SALT LAKE CITY – December 5, 2018 – Finicity, a leading provider of real-time financial data aggregation and insights, announced today it is working with mortgage banker Princeton Mortgage to automate borrower asset verification for lenders. The agreement will provide Princeton Mortgage loan officers and borrowers with a faster, simpler loan origination experience that reduces both paper chase and headache. Princeton Mortgage’s digital mortgage platform, SnapApp, will leverage Finicity’s Verification of Assets (VoA) solution to give lenders access to the data insights they need to streamline the loan application process, reduce mortgage fraud, free up resources and shorten time to close. Automation cuts the verification process from days to minutes as borrowers no longer need to search for bank statements, and lenders have more time to focus on high-value activities, such as approving more loans. Princeton Mortgage created The Effortless Mortgage™ to perfect the user experience in loan origination. The solution includes platforms for integrating, managing and securing data to reduce stress and complications in the process for both brokers and borrowers. This is always backed by the Princeton Promise — if clients feel that their loan process was not effortless, they can request up to $1,000 credit back at closing. The Princeton Mortgage SnapApp is a key component to this process as it allows customers to get pre-approved in minutes from their phone, tablet or desktop. Finicity is an authorized, integrated provider of asset verification reports within Fannie Mae’s Desktop Underwriter® (DU®), giving lenders a validated asset report through Fannie Mae’s Day 1 Certainty™ initiative, and the company is part of Fannie’s Single Source Validation (SSV) pilot. Finicity is also a Freddie Mac automated asset and income validation third-party service provider, and Freddie Mac and Finicity are working together on new methods to validate income from payroll deposit data from bank statements. To stay up to date on all Finicity company and product announcements, visit the website at www.finicity.com. Finicity’s mission is to help individuals, families and organizations make smarter financial decisions through safe and secure access to fast, high-quality data. The company, which launched its first financial product in 2000 and has since grown to provide financial data APIs, credit decisioning tools and financial wellness solutions, partners with influential financial institutions and disruptive fintech providers alike to give consumers a leg up in a complicated financial world. Finicity was awarded API World’s 2016 Finance API of the Year and is a 2018 HousingWire Tech100 winner. To learn more or test drive its API, visit www.finicity.com. Princeton Mortgage was founded in 1983 as a licensed mortgage banker and is backed by a 100+ year old multifaceted real estate brokerage, investment, and insurance company. Princeton Mortgage is positioned as a well-capitalized banker that is debt free and is creating dynamic new opportunities within their industry. For more info, visit www.princetonmortgage.com. ©2019 Copyright - Finicity Corporation. All Rights Reserved.